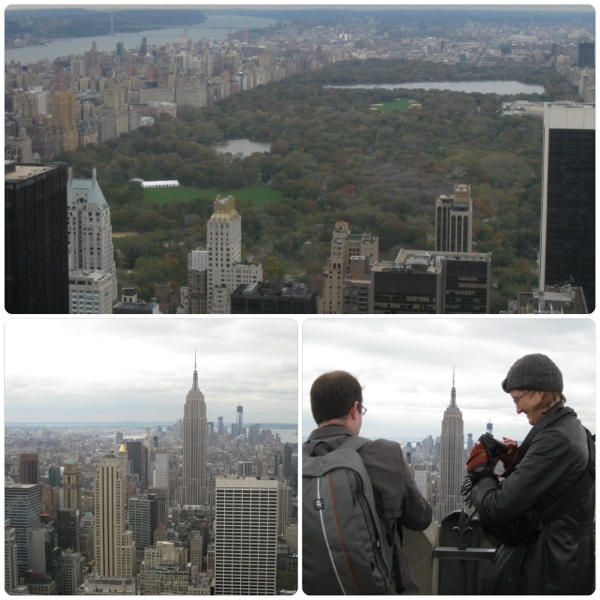 From the top of the rock to beer in the dark! After the storm came our very first New York houseguests, and we’ve only just recovered from an action-packed few days of sightseeing. It was great fun, and really good for us to finally see some of the attractions we’ve been meaning to visit since we arrived (though sadly Tom still had to work so missed out on a few things). Views from the Top of the Rock. Sadly the lovely sunny morning had turned into a grey and chilly afternoon, but that didn’t stop us all taking lots of photos. 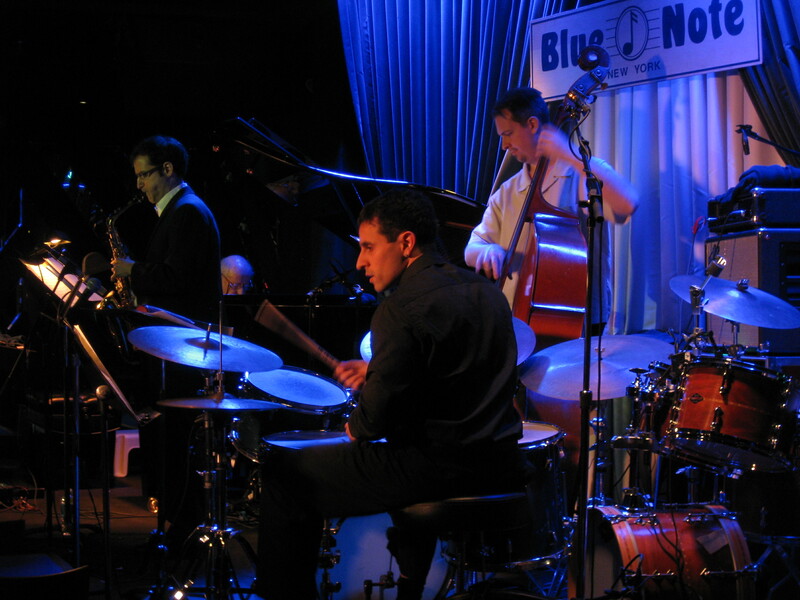 Jazz brunch at Blue Note – highly recommended. 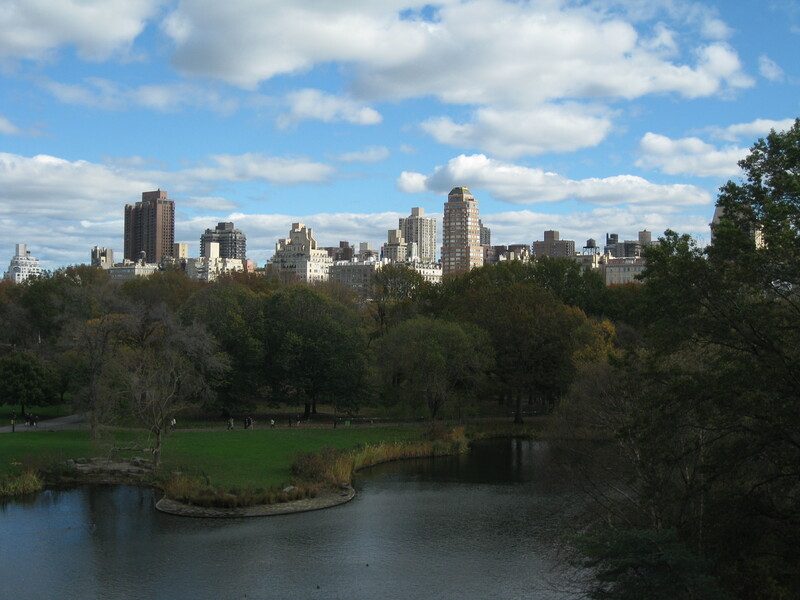 A sunny Sunday afternoon in Central Park. 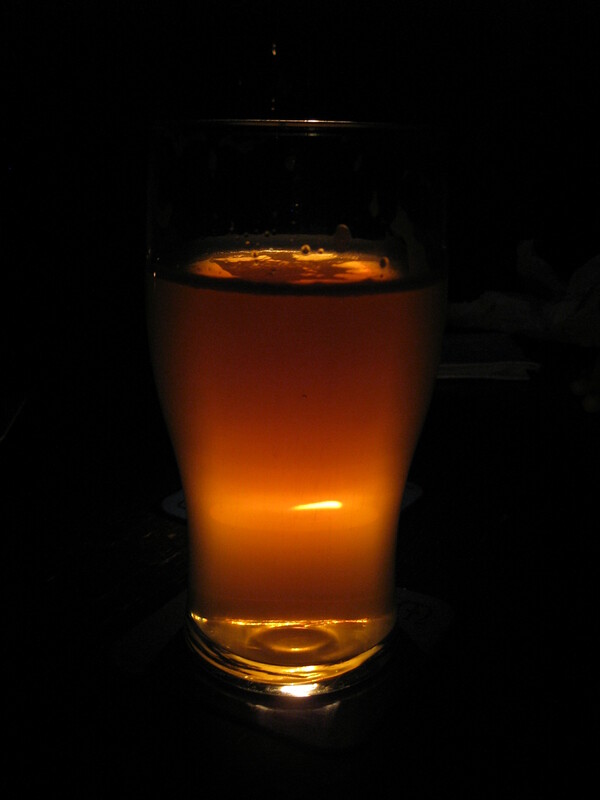 Cider by candle-light at the Ginger Man pub – they were still without power post-Sandy when we stopped by, but open for drinks nevertheless. The candles provided a lovely atmosphere, and it was very strange walking through darkened streets to get back to the lit-up part of the city. 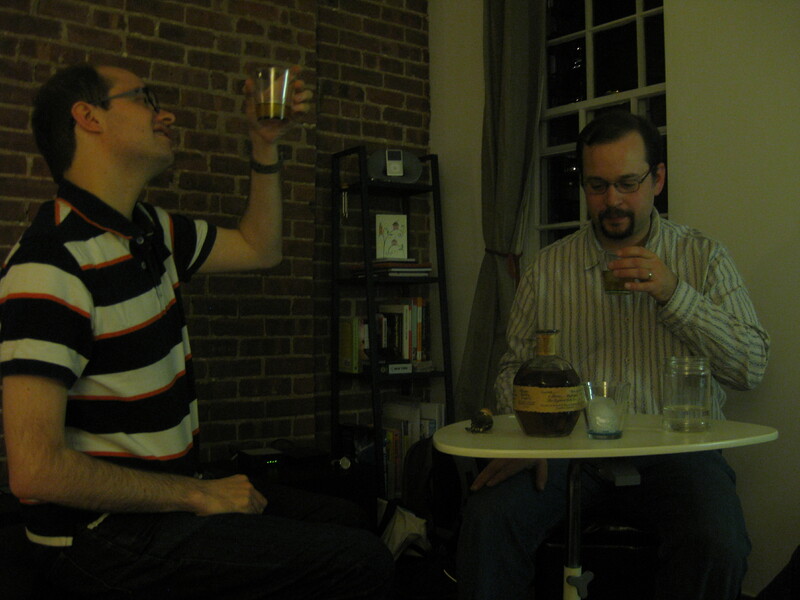 We also enjoyed some a drink or two at home, including some rather nice bourbon. 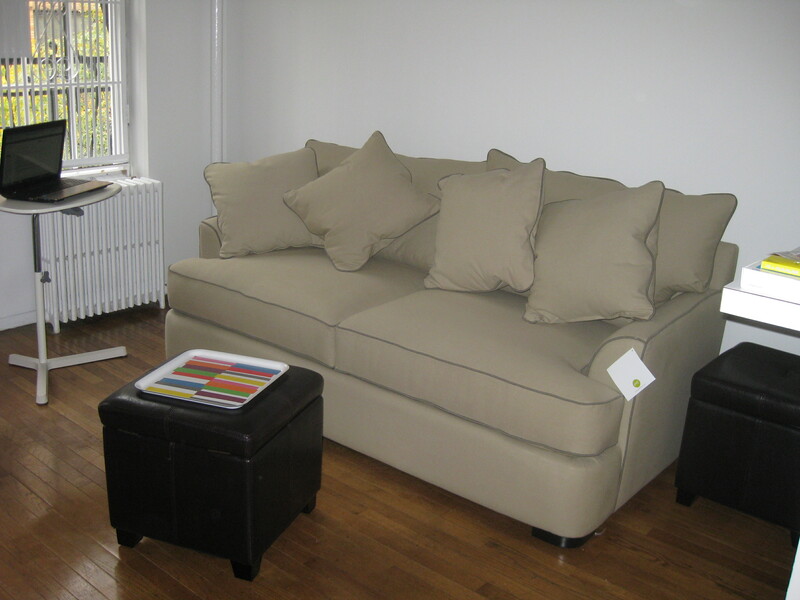 The sofabed got the thumbs-up, thank goodness. Booking now for 2013, do get in touch if you’d like to come and visit us! This entry was posted in Exploring, Food and drink, Museums/galleries by Emma Davidson. Bookmark the permalink.